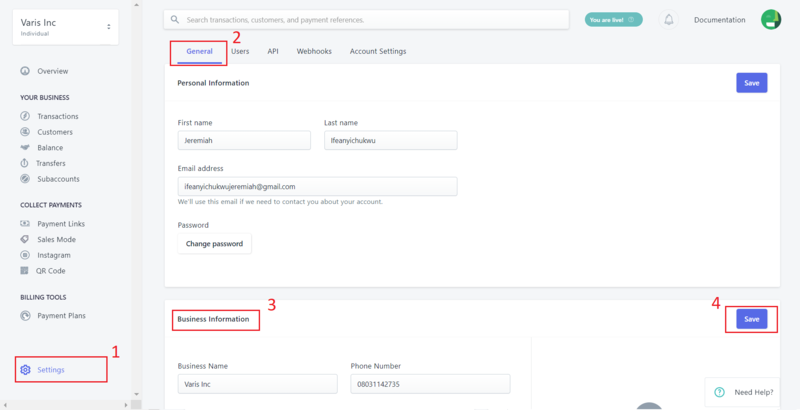 You can change your business information in the Settings page (1), under the general tab (2). Simply scroll down to the section titled "Business Information" (3) and update as you desire. Ensure to click "Save" when you're done.